It is important to maintain a good email reputation. You can see your email reputation in the dashboard. 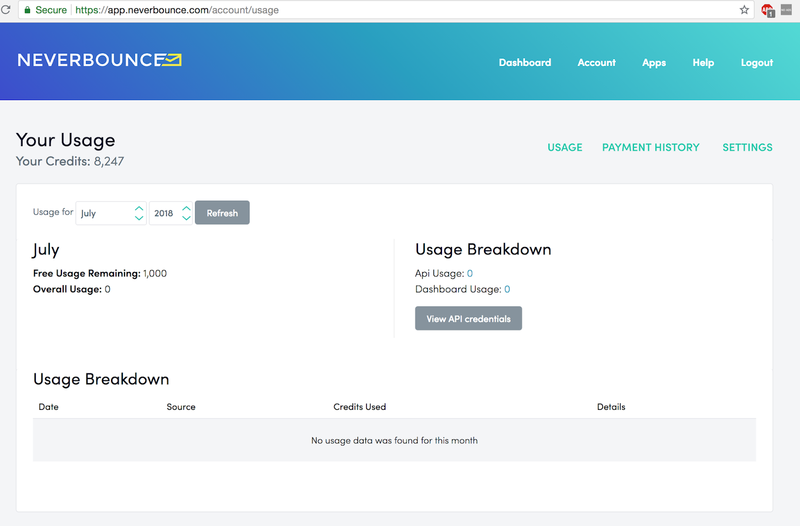 I am using the gem neverbounce-api verion 1.0.4. Here is the code to validate with retries. One of the exception that can occur is due to not having enough credits to make the API calls. I am not handling this exception in the code because you can configure NeverBounce to email you when the balance is low.